Stephen Covey in his book writes about Sharpening the Saw. What is exactly sharpening the saw and why is it so important? Every person possesses a skill and he earns by applying his skills to produce something that is used for betterment of life. He gets paid either through salary, bonus, profits, recommendation, gratitude or reward. A car driver possesses the skill to drive car safely within estimated time. A manager possesses the skill to get the work done and manage client’s expectations. A consultant possesses deep knowledge about a subject that he applies for solve a problem or design something new and he charges fees for his work. A software programmer writes programs that do work. A sweeper sweeps floor and keeps the area clean. A trainer trains people and helps those acquiring new skills. Most people acquire skills to a greater extent in their first job where they learn a lot about their work area. The rate of acquisition of knowledge slows down as the person progresses in his age. This is true for some while for some they excel in acquiring knowledge as they grow old. In the learning process once the person starts applying his knowledge and skills he starts making progress and soon he would do activities without thinking much about it like learning to ride a bike. After few times riding the bike the rider knows how to apply clutch, brake and change gears. Similarly, while working repeatedly on some areas the person learns to use his skills automatically without much of effort. However, there’s a catch here. The rider develops certain habits of riding the bike. He speeds on certain occasions, he gets slow on certain other. Very often he receives a feedback form pillion driver that he should have slowed down at a juncture since the pillion driver felt the bump or they just missed hitting someone since the rider had speeded the vehicle too much. When the rider knows exactly how to ride the vehicle and he has learnt it from an expert a few years ago, why did he make such errors in judgment that could cost him? The answer is he relied on what he has been doing all these days, even when that may not have been the appropriate steps. The driving conditions from when he learnt like the number of vehicles on road, the road itself would have changed. So, the rider would need to re-look at the learning and add these changes & make a conscious effort to accommodate the changes to make a safe drive. Similarly, a car mechanic knows how to fix up a problem in a car. He has learnt it over years of experience. However, sometimes he also gets stuck in solving a problem. Why? The car model produced 5 years back and the current model have different designs. The new model has many new features not included in earlier model. New features and design could have new issues and applying the same old solution doesn’t work. Hence the car mechanic is needed to increment his skills or polish them to include the change. A software programmer often gets comfortable writing certain types of software programs. He may not use all of the features of the coding language, yet he is able to code the program well. Now, over a period of time there are changes in the version of the coding language making the old features obsolete or addition of new features. If the coder doesn’t keep himself abreast of these changes he would still use a vintage car to travel when there are super speed cars available. This requires Sharpening the Saw. 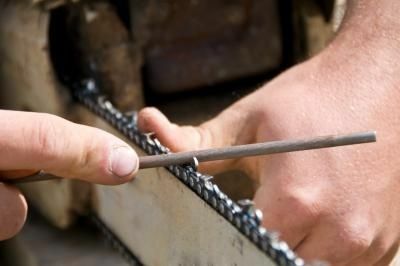 What are the benefits of sharpening the saw and how much once should invest in it? The benefits are numerous. First, it helps in retention of skills the person already possesses. Second, he it gives him a feedback that what he learnt and what he is applying is different, simply because he developed certain habit over years. That will give him a feedback to correct. Third, it is a chance for him to assimilate newer developments technology, change in market conditions or requirements. He may get a clue to acquire new skills since the skills he holds may not be effective to give him good fortune. This will help him in progression. Fourth, he will be able to do his job well and quicker since he might start applying what he re-learnt. Fifth, he would be amongst those 1% people who really take the effort of Sharpening their Saw. Sixth, he learns how to create time to invest in sharpening the saw. That means he is optimizing on time. Time investment required is a meager 10% of work time. So, if a person is spending 40 hours a week, he should keep aside 4 hours of his time in re-learning. Isn’t it cool to have just those 4 hours, time well invested to create more time and more fortune? How to create those 4 hours? Cut down on watching TV by ½ hour every day, so for 5 working days it will be 2.5 hours. Cut down time spent on chatting by 15 minutes each day that would give ~ 1 hour of available time. Wake up early by 15 minutes each day that would give ~ 1 hour for a week. Do your tasks efficiently to save ~15 minutes each day that would give ~ 1 hour each week. Invest 10% time on Sharpening your Saw and gain 90% edge over others.